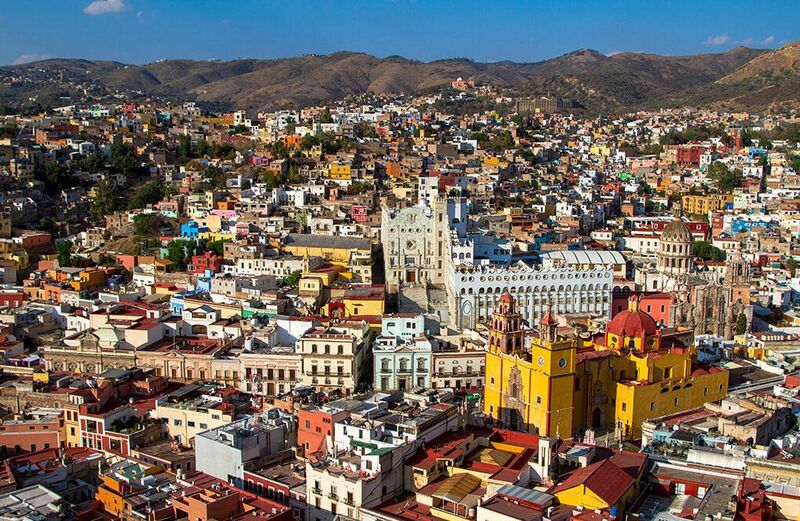 Everyone will tell you that one of the bests things to do in Guanajuato is to leave your map at home and let your feet guide you through the maze of streets of the Old Town, where you’ll be amazed at the colorful buildings, leafy plazas, and charming cafés you’ll find around every corner. But all that exploring can be exhausting in the hot summer sun, especially when you know there’s no beach around. Here are five ways to keep the heat from getting you down as you make the most of your experience in Guanajuato. Callejoneadas are a joyful nighttime tradition unique to the state of Guanajuato. 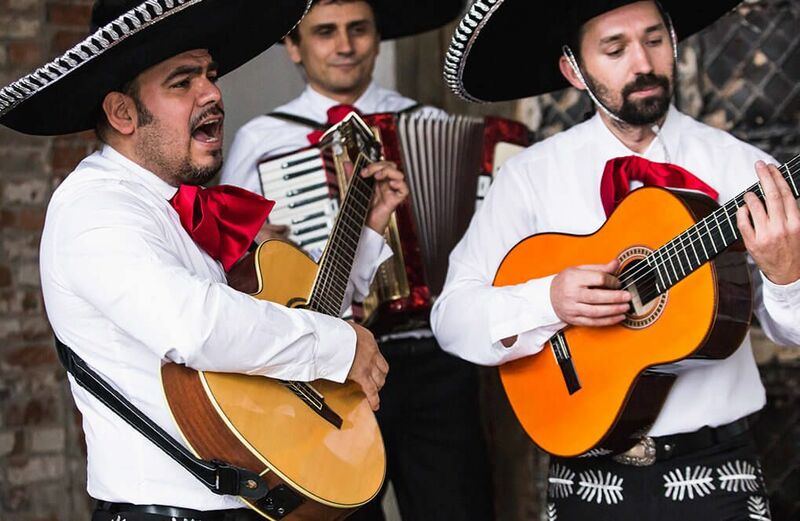 A group of musicians in period costumes will accompany you on a nighttime tour of the city’s streets and plazas as they perform typical songs from Guanajuato and other regions of Mexico. They’ll also tell jokes and historical legends about the places you see. 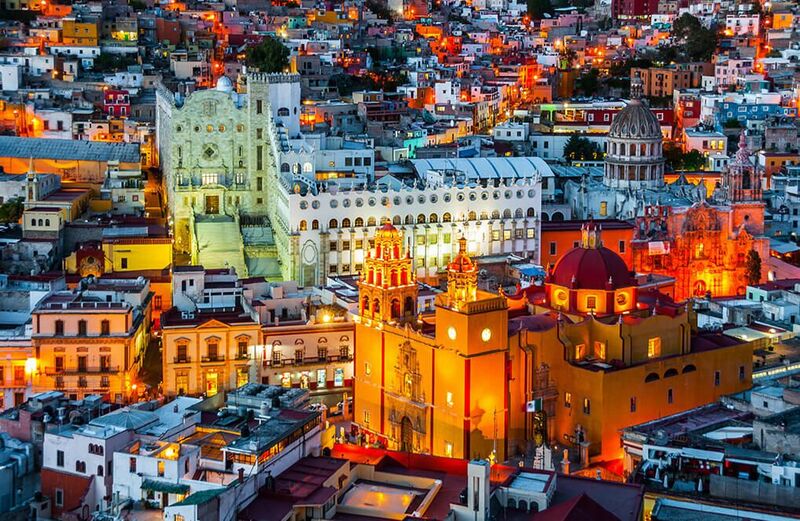 Many of Guanajuato’s buildings are brilliantly lit up at night, so this is the perfect way to see the city with cooler temperatures and enjoy live music at the same time. It’s also a good chance to practice your Spanish, as the traditional tours usually aren’t offered in other languages. (Of course, the best way to improve your Spanish during your trip to Guanaujuato is to take a Spanish course at don Quijote!). There are three different places to find your callejoneada: look for the men and women dressed in costume at Jardín de la Unión, Plaza Central, or the steps of Juárez Theater. It generally lasts about two hours. 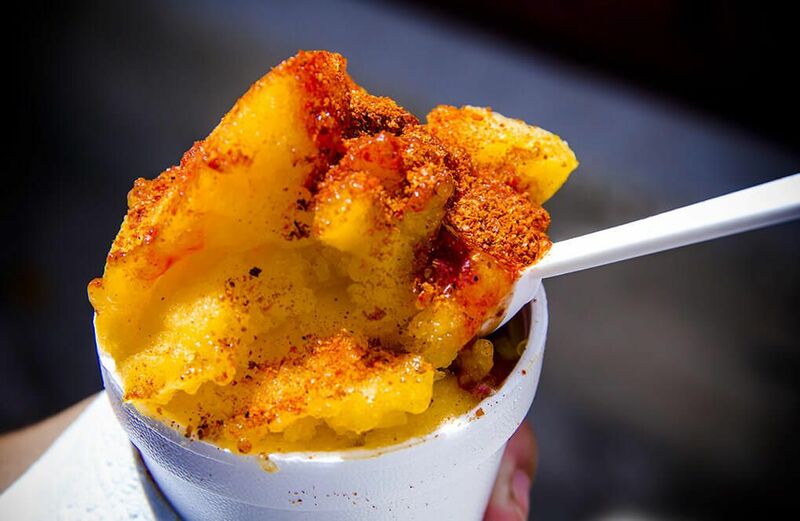 La Garrafa Nieves makes their own delicious ice cream or nieve (snow), as it’s called in Mexico. Local flavors go far beyond chocolate and vanilla: try queso (cheese), beso de ángel (who knew that angel kisses taste like cherry and nuts? ), tequila, or any type of fruit you can think of. Its central location beside beautiful Plaza de la Paz, also known as Plaza Mayor, makes this spot the ideal place to try a wonderfully cold treat and take a break from walking around the city on a hot summer day. If you’re in Guanajuato in late June, you’re in luck! Head to the southeast side of the city to Presa de la Olla, a dam built in the 1740s to provide the city with a dependable water supply. Every year around June 24, the reservoir is the place to be to celebrate the Fiestas de San Juan y Presa de la Olla with music, dancing, races, games, and plenty of food and drink. 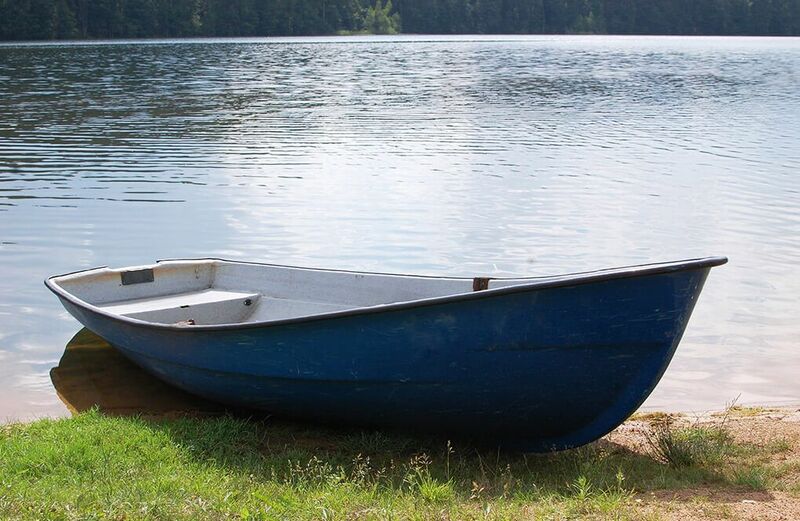 Any other time of the year, the reservoir is a peaceful place to row boats across the water, enjoy the green gardens, and taste the local cuisine at one of the bordering restaurants or food stands. And even if you miss the festival in June, you can experience festive fun every Sunday at the Embajadores market with music, food, and great atmosphere. When the day starts to cool off, walk behind Juárez Theater and take the red funicular (cable car) up the side of a mountain to Guanajuato’s top lookout point, the Pípila Monument. In addition to incredible panoramic views of the city, there’s an enormous statue of El Pípila, a local hero who earned his fame in 1810 around the beginning of the Mexican War of Independence when he torched the grain warehouse (Alhóndiga de Granaditas) after the Spanish had barricaded themselves inside. Come up to the lookout point a bit before sunset to see the city’s bright colors in the daylight before they fade away and are replaced by the magical lights that illuminate the city at night. Imagine leaving the heat behind as you go more than 600 feet underground. 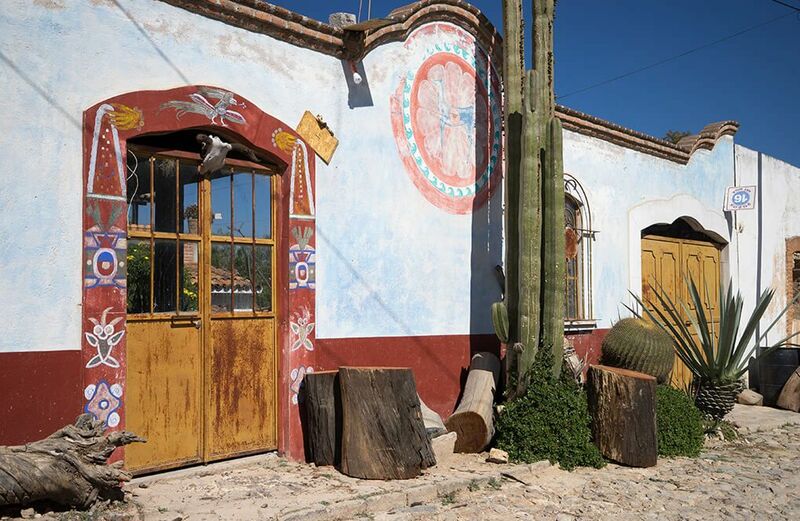 To burrow deep into Guanajuato’s mining history, take a trip to Mineral de Pozos, also known as San Pedro de los Pozos, a desolate ghost town that was once a booming population center thanks to its many gold, silver, copper, and zinc mines. Though its beautiful, crumbling stone and adobe buildings in the desert have long made it a desirable backdrop for shooting films, it wasn’t until the 1990s that artists started trickling into town, inspired by the unique landscapes. Then in 2012 Mineral de Pozos was named one of Mexico’s Magical Towns, and a new energy began to flow, with hotels, restaurants, shops, and art galleries popping up to accommodate visitors. You’ll enjoy going deep down into one of the mines, or just walking or biking through the ruins of the city, where time seems to stand still.